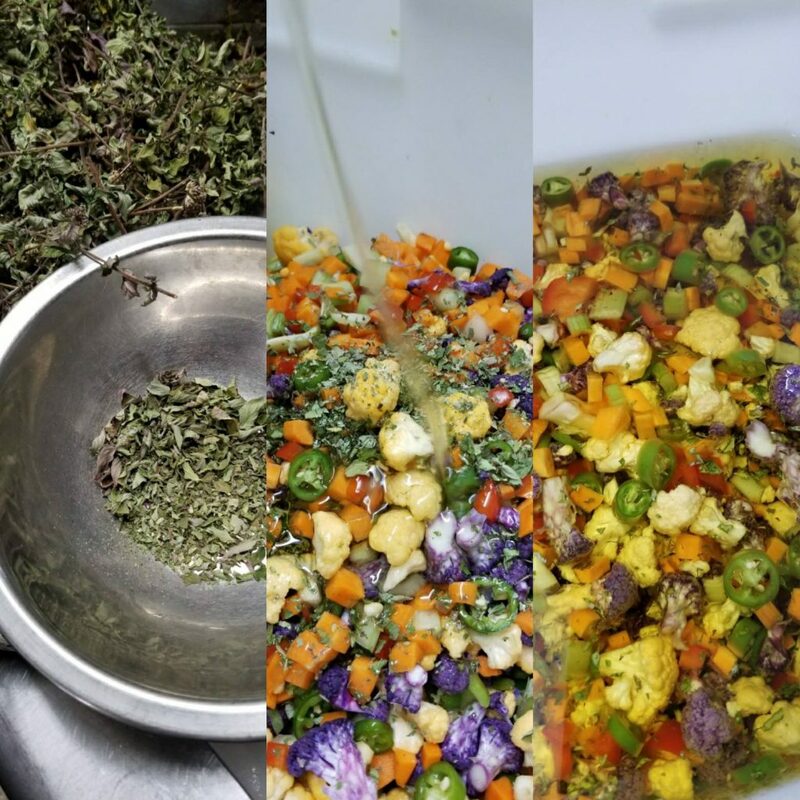 We are on our second day of making Giardiniera! The vegetables are drained from their brine and rinsed. We have harvested the oregano to add to the final product. The vegetables are placed into a container filled the mixture with olive oil and herbs until they are complete submersed. The container is sealed and sits in the refrigerator for a few days until all the flavors meld. delicious on a warm roast beef sandwich, adds a nice crunch as a condiment on a cheese plate.